A wide variety of sets to suit a range of artistic needs, including life drawing, landscapes, portraits, flowers, seascapes, and more. 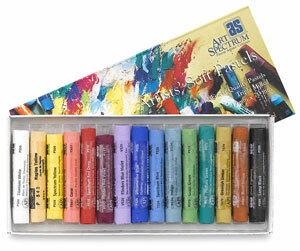 The sets of 60, 120, and 154 pastels are packaged in attractive wooden boxes with handles. The sets of 12, 15, 20, 30, and 40 pastels are packaged in cardboard boxes.